It's good to hear Johnsen to speak English lol Go S-Pulse! I can't help but keep imaging that S-Pulse win the League Championship, Okazaki win the League's best scorer and Johnsen finish top three in scorer standing............ Unbelievable! WE BELIEVE!!! 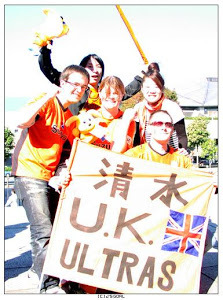 So, all the best to our old neighbours in Shizuoka from the Fukuoka-Blog! Thanks so much for your message of support! 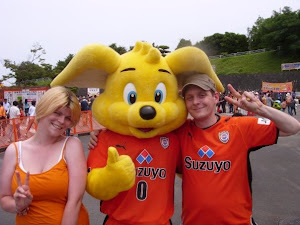 Of course, I want with all my being for S-Pulse to win the league this year. 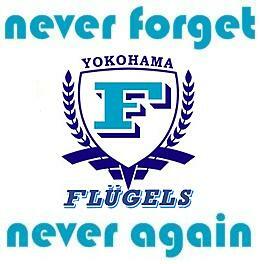 It's still Kashima's to lose, though, and Hiroshima are also in great form. Kawasaki have a hell of a schedule coming up, so whether they can maintain their push remains to be seen.